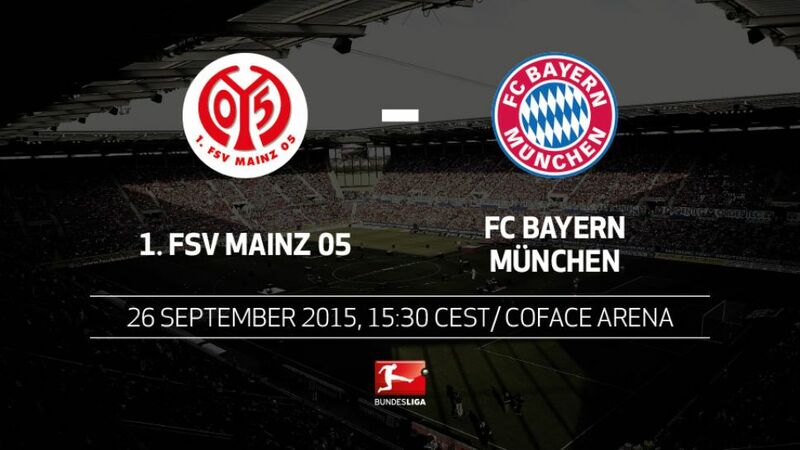 Mainz – FC Bayern München will equal the Bundesliga record for a winning start to a Bundesliga season if they can beat 1.FSV Mainz 05 on Saturday (kick-off 15:30CEST/13:30GMT). Bayern will equal the Bundesliga record for successive victories from the start of a top-flight season if they register their seventh against Mainz.Robert Lewandowski scored the fastest hat-trick and fastest five-goal haul in Bundesliga history against VfL Wolfsburg on Tuesday. He was also the first substitute to score more than three times. Check out the Poland international's record-breaking feats here.Mainz have beaten Bayern three times in 20 competitive meetings. All of those victories were overseen by former coach Thomas Tuchel.Mainz have not beaten Bayern in seven attempts. Their last win was a 3-2 home triumph on 27 November, 2011.Lewandowski has scored seven times in his last five games against Mainz.Mainz have already been beaten three times this season. Last term, they went unbeaten for the first six games of the campaign under Kasper Hjulmand.Mainz have won their last two home games. They last won three-in-a-row at home under Tuchel.